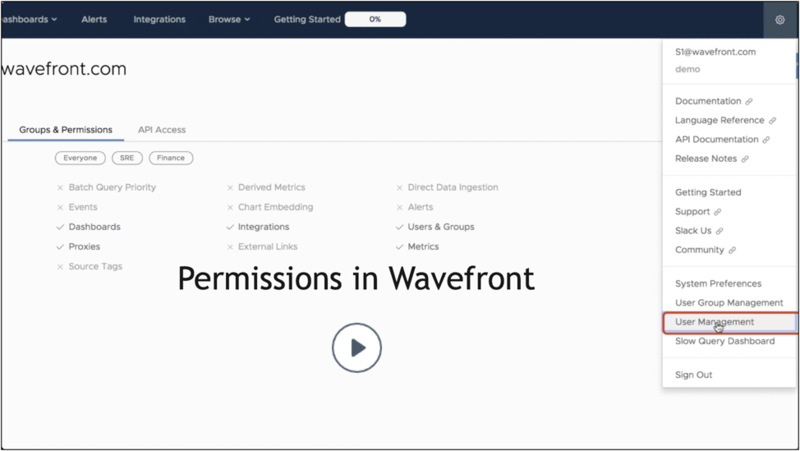 Understand authorization in Wavefront and learn how to assign permissions and access. 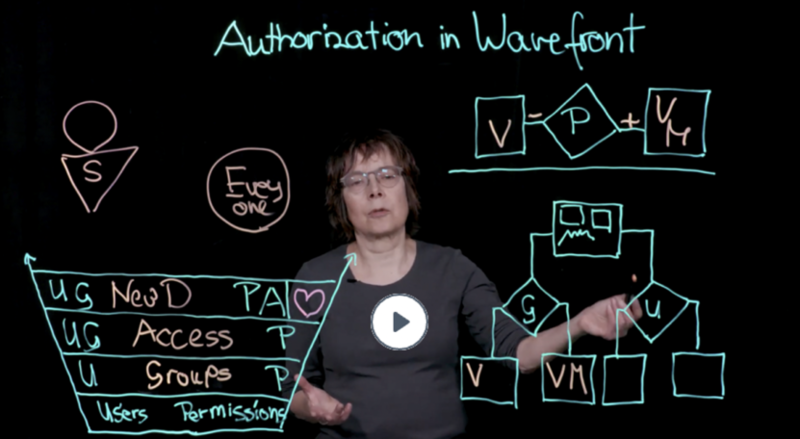 Renate’s video gives an overview of authorization and explains the difference between global permissions and object-specific access. The other videos show how to create groups, assign permissions, and set up access control in your environment. This video explores the components of authorization. Global permissions, assigned to users or groups, determine basic user actions, for example, who can edit dashboards or embed charts. In large production environments, object-level access control lets you completely hide some dashboards from certain users or groups. Permissions are the basis of authorization. You start with default permissions, and can then add and remove permissions at the group level or for individual users. Permissions are additive, so you have fine-grained control. And it's all easy to do from the UI or with our REST API. 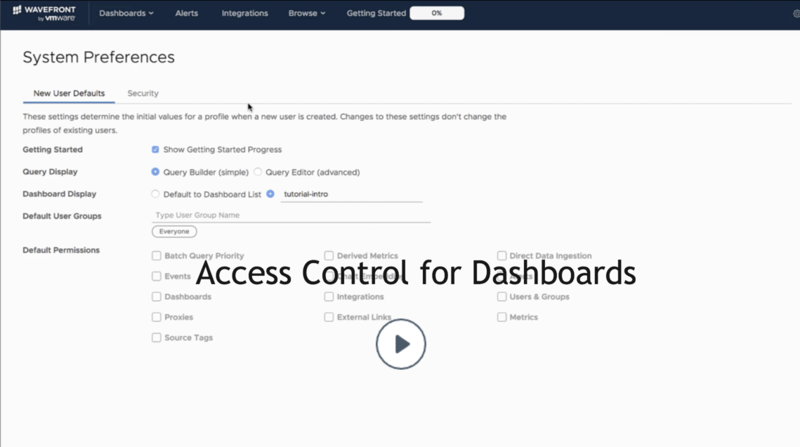 Access control, added in Spring 2019, allows users with Users & Groups permissions to add or revoke access for one or more dashboards. You can add and revoke access for groups or individual users. The video explains how to use access control and also discusses the Everyone group and the Super Admin user.